Written specifically for the EAL Diploma in Electrical Installation, this book has a chapter dedicated to each unit of the syllabus. Every learning outcome from the syllabus is covered in highlighted sections, and there is a checklist at the end of each chapter to ensure that each objective has been achieved before moving on to the next section. End of chapter revision questions will help you to check your understanding and consolidate the key concepts learned in each chapter. Fully up to date with the third amendment of the 17th Edition Wiring Regulations, this book is a must have for any learner working towards EAL electrical installations qualifications, also providing an insight to those who are considering a career in the electrical installation or construction industry. Peter Roberts is an ex RAF Chief Technician and is currently an electrical installation lecturer, as well as an EAL question writer, based in Coleg Menai, Bangor, North Wales. Chapter 1: ELEC1/01 Health and Safety in Electrical Installation. Chapter 2: Unit: ELEC1/08 Electrical Science, Principles and Technology. Chapter 3: Knowledge Unit: Q ACC 1/ 02 Understand fundamental environmental protection measures within building services engineering. 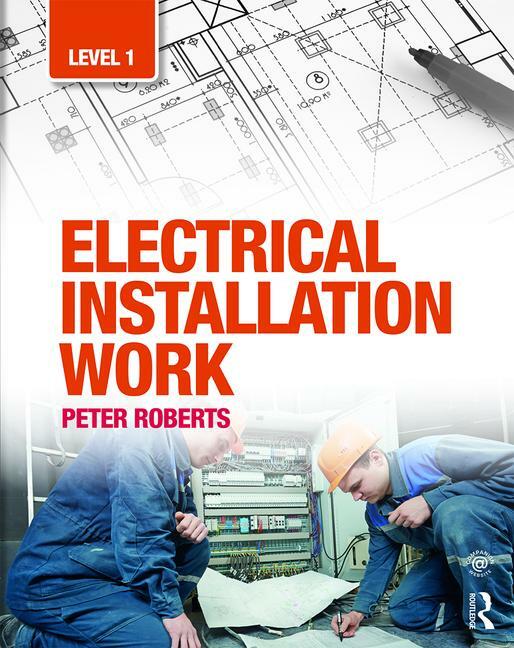 Chapter 4: ELEC1/05A Electrical Installation Methods, Procedures and Requirements. Chapter 5: Q SWC 1/ 01 Staring Work in Construction. Chapter 6: Q MSA 1/ 01 Managing study and approaches to learning Level 1. Chapter 7: Q PFI 1/ 01 Preparing for an Interview.Synoptic assessment. Answers to ‘Test Your Knowledge’ Questions. Answers to Chapter Activities. Appendix A: Formulae and Glossary. Appendix B: Useful websites. Appendix C: Credibility of information. Appendix D: Basic grammar. Index. Peter Roberts is an ex RAF Chief Technician and is currently an electrical installation lecturer as well as an EAL product deviser and exam question writer based in Coleg Menai, Bangor, North Wales. "I think that this book has been set out well with very clear descriptions, this along with tips and information boxed in the margins of the book make it an interesting and easy read which is great for students"